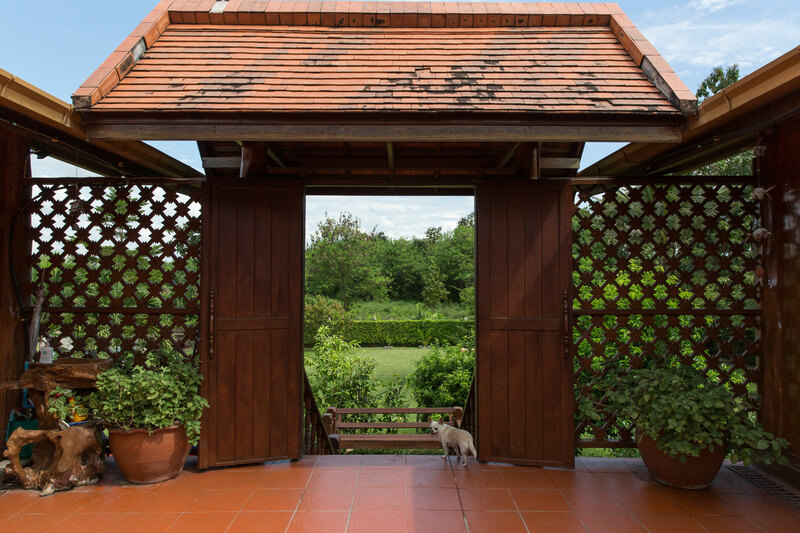 Pea is in her 60s and lives with her son, Jah, in a beautiful teak home surrounded by gardens in Chiang Mai. Pea started cooking when she was 12. 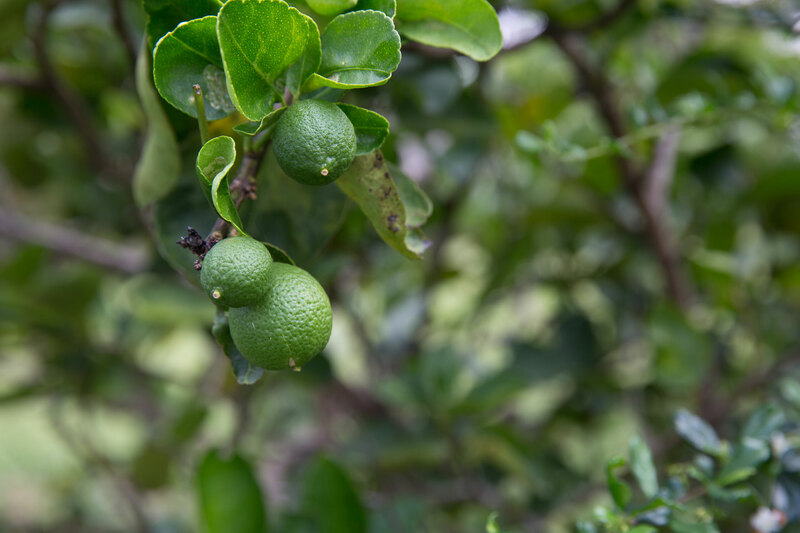 As the first daughter and fourth child in the family she remembers her mom waking her up early in the morning to buy food from the market, teaching her about the best ingredients and how freshness can influence a dish. Pea is such a good and creative cook that she can even get her sons to eat and enjoy bitter gourd, a vegetable that is renowned for people, especially children, despising! 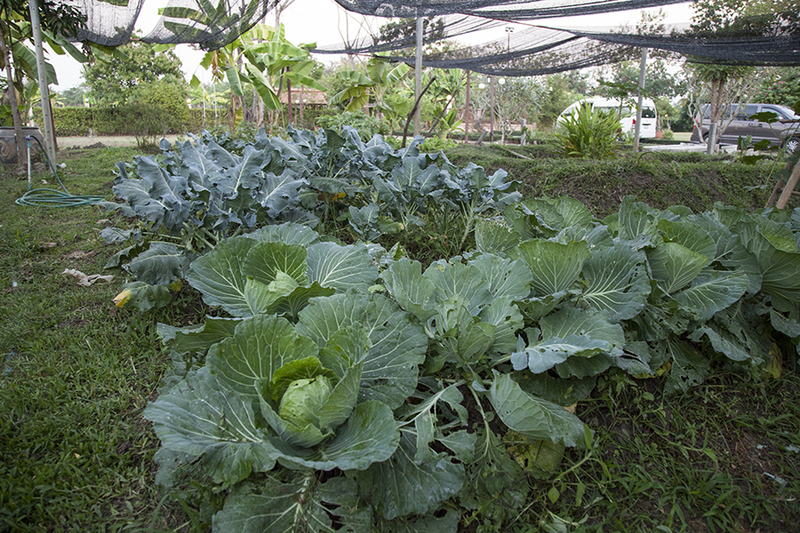 In-home meal: (1-20 guests) Start your adventure with a pick-up from your hotel and drive to Pea’s home where she will give you a tour of her beautiful vegetable garden. 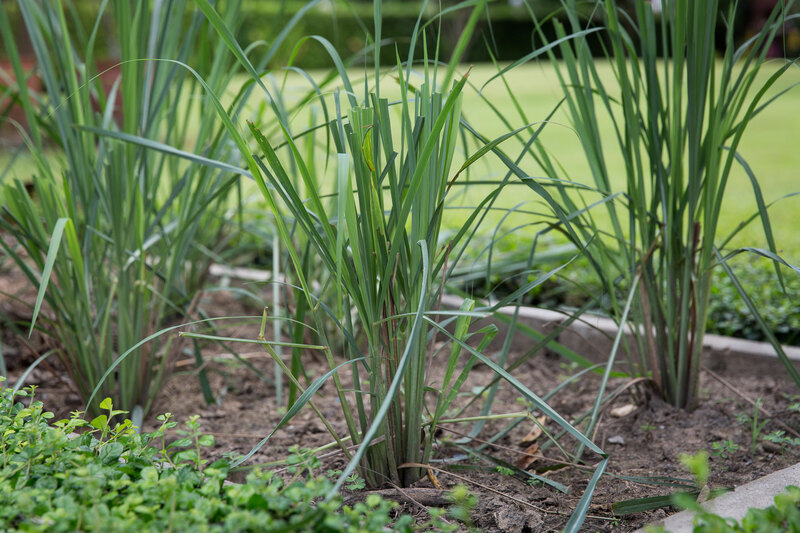 Discover how essential Thai herbs such as lemongrass and holy basil are grown. You will then be treated to miang kham (a local snack of fresh betel leaves with lime, coconut, and peanuts) before beginning your meal. 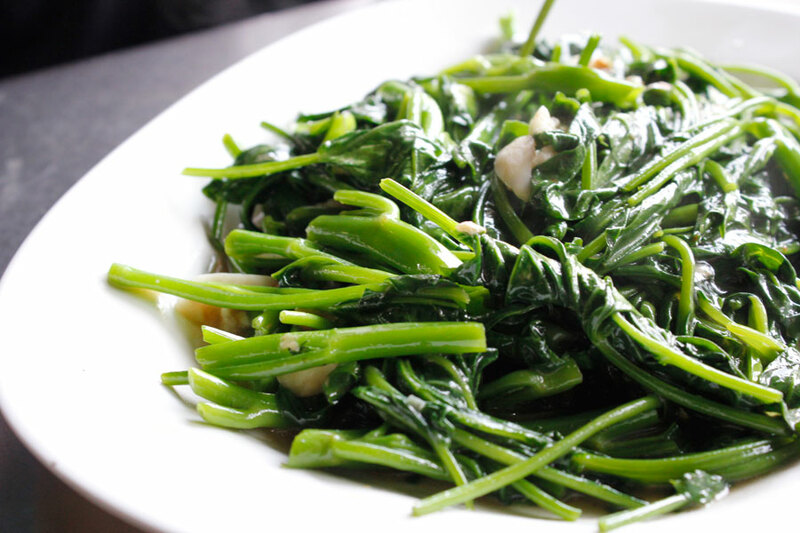 Pea's mother was Chinese and her father was Thai, and her cuisine is influenced by the culinary traditions of both cultures. 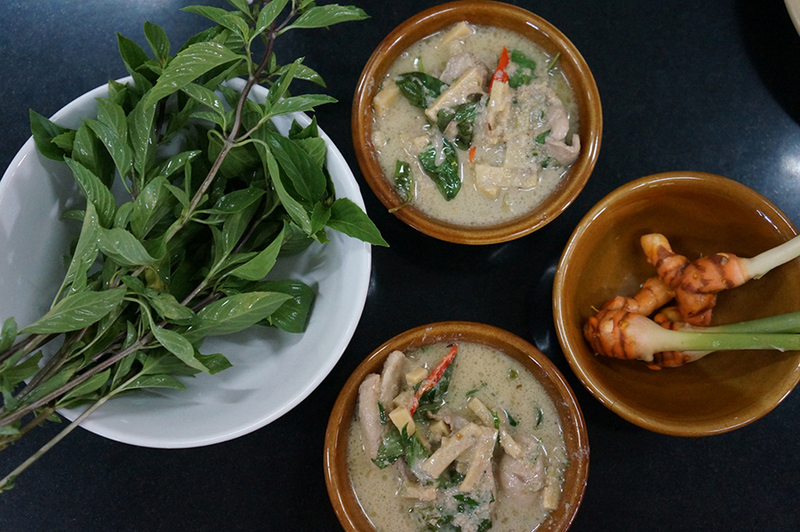 Enjoy dishes such as beef noodle soup, kaeng khiao wan (chicken green curry), kai kraphrao khai dao (stir fried chicken with holy basil), nam prik ong (typical Northern Thai pork and tomato dip) before you end your meal with a dessert of sweet coconut ice cream or mango sticky rice (when in season). 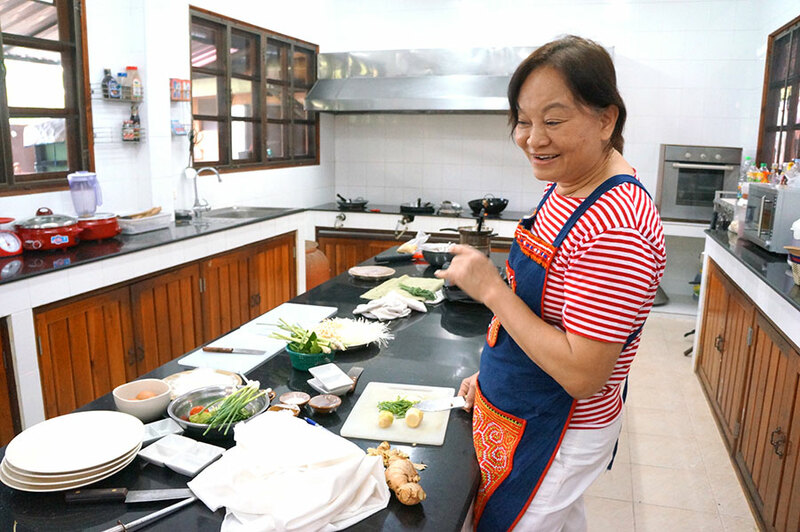 Cooking experience: (1-20 guests) Join Pea in her kitchen to chop, pound and grind as you learn to make an authentic Northern Thai-Chinese meal from scratch. You might expect your hands-on cooking class class to last about 1.5 hours before you share the meal you helped prepare with Pea at her dining table. 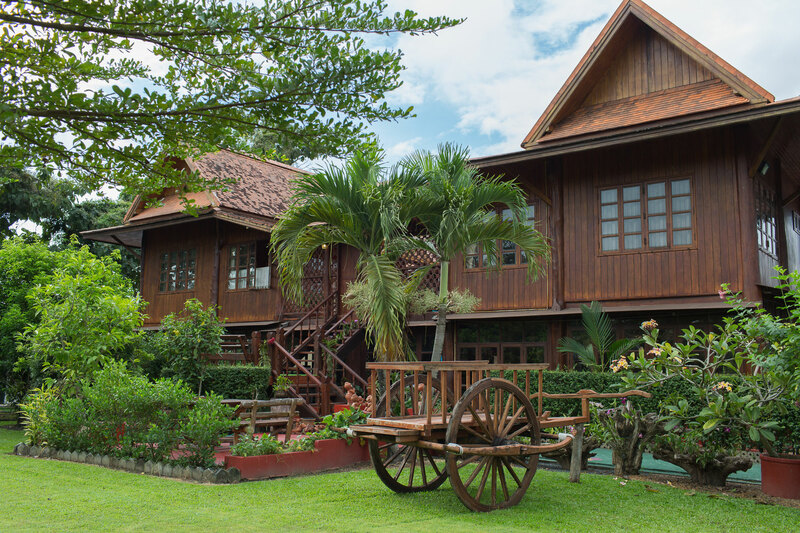 Notes: Please be sure to include your Chiang Mai hotel name on the reservation form so your host can arrange for your pick-up. Please note that a portion of Pea's teak home is under construction. My wife and I absolutely loved our cooking class and Pea! She taught us a handful of memorable and useful memories and tailored the evening to our needs (we had another cooking class and didn’t want to overlap). Her home is so gorgeous and we loved every minute of it. It was just the two of us so we got a very hands on and intimate class! It was even better than we expected. First of all, the driver was right on time picking us up at our hotel. 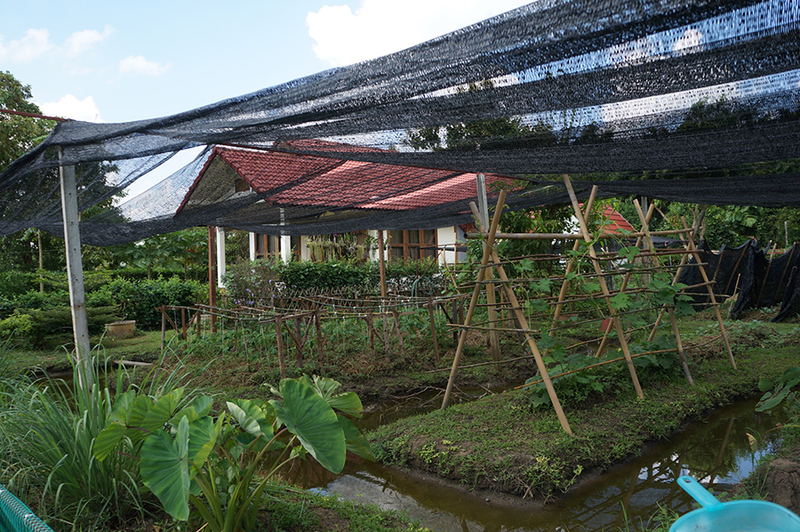 Then we arrived at the house of Pea with her nice garden and dogs, where we would learn and pick the ingredients for the dishes. 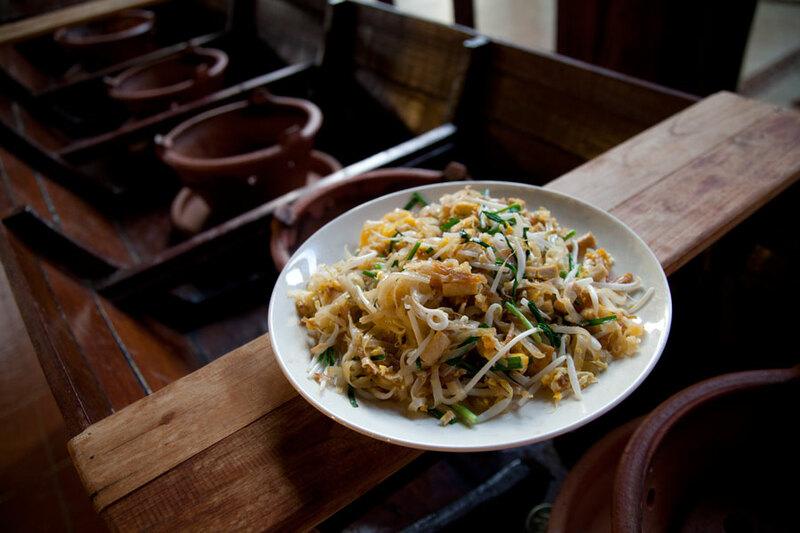 During the making of the dishes we would learn authentic Thai homecooking so not the touristy bs. It was all so tasty, we learned a lot, had a great time and were full to the brim. Definitely would recommend to anyone who likes cooking! Pea's class was just what we've been looking for! 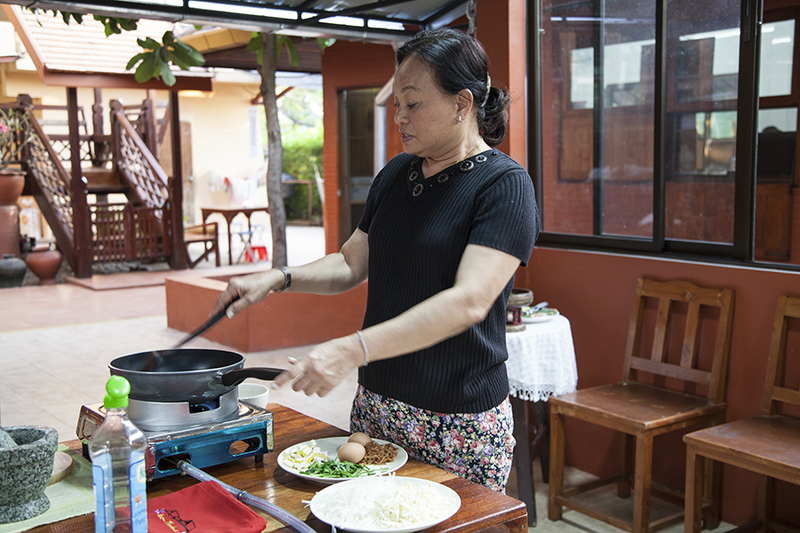 It's incredibly difficult to find someone willing to teach home style Thai cooking in Thailand - most people teach the same menu of classics that as far as we can tell the majority of Thai people don't even eat that often. In Pea's class you'll learn simple, delicious dishes that use easy-to-find ingredients, dishes that you'll definitely want to recreate at home. In a city over saturated with cooking classes, Pea's stands out! Pea and her son Jah were amazing hosts! First, Jah picked us up from our hotel and guided us through a local market. It was an awesome experience. 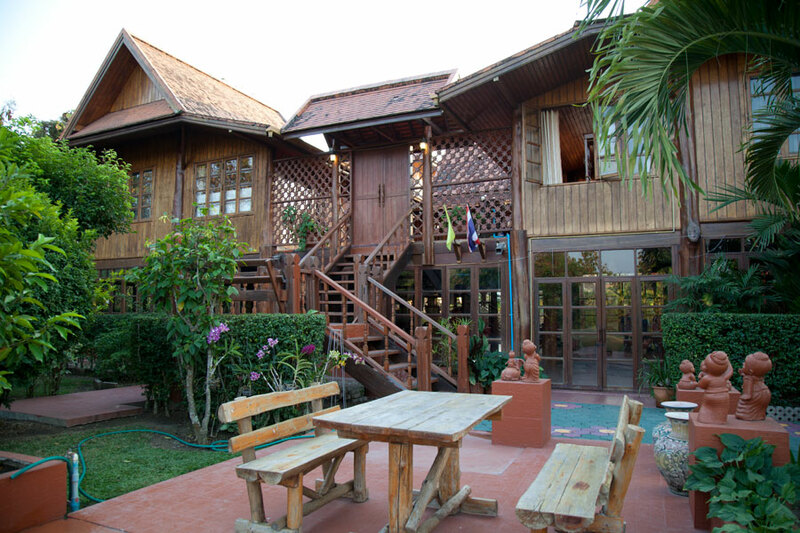 Next, we went to their beautiful teak house. Pea greeted us there. She is a an amazingly fun and interesting woman. She was sassy and sweet. Al 6 of us thoroughly enjoyed the class. After the class, Jah dropped us home and recommended we check out his local food market with band that night. We went and it was an awesome local experience. Thank you for sharing your home with us Pea and Jah! We had the most fantastic time learning to cook thai food with Pea. She made us feel welcome in her home and really took the time to guide us through each dish, letting us take pictures and giving feedback. After we finished cooking, she sat with us for quite some time talking about the culture of Thai's and how food fits into that. It was so great spending time with her, a big highlight of our trip! She is clearly passionate about what she is doing. We would recommend anyone to her class. 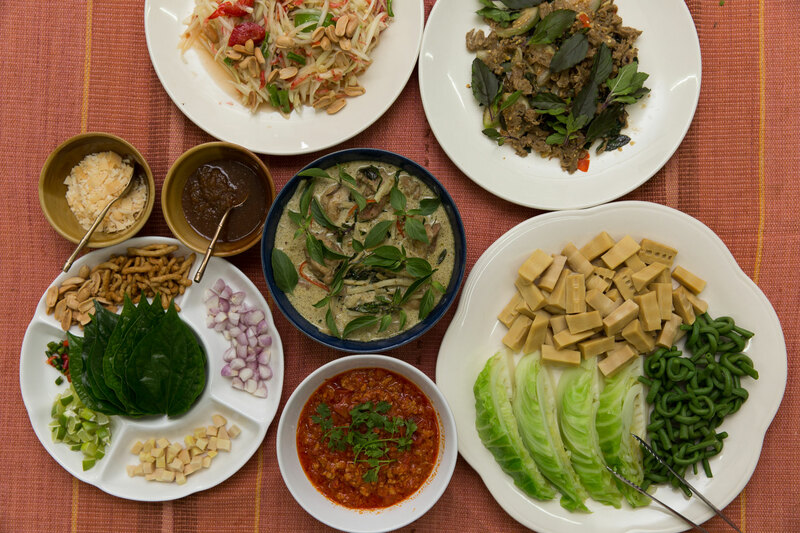 I had so much fun learning how to make authentic Thai home food. Pea was a delight as a hostess and an excellent teacher. I would definitely repeat this class! My favorite dish served, was the tomato and chili dip. Pea was a delightful host. She (and her son) went out of their way to make sure my friend and I left full from delicious foods, full with lessons about Thai cuisine, culture and cooking techniques, and our hearts full of her warm advice and thoughts on life. 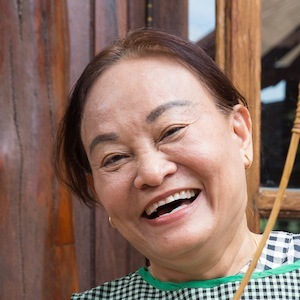 While traveling (especially in Thailand) you'll meet other travelers and hear their stories about cooking classes with 20+ people in a very generic space. Traveling Spoons, and this experience with Pea, are the complete opposite experience. 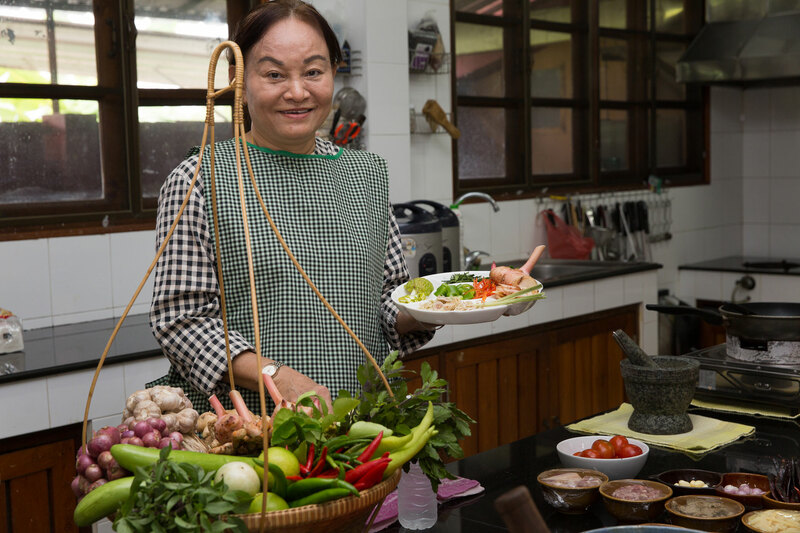 The opportunity to visit a home and learn from someone that has been living and cooking in Thailand her entire life is a unique one, and a highlight of my stay in Thailand. Pea was a fantastic host and her house was impeccably suited for this experience. She was a great teacher and entertainer. We learned how to cook several meals which we could replicate at home. Pea even provided each of us with our burner to cook the meals ourself and she monitored the progress with coaching. Each meal was punctuated with a break in which we ate our latest tasty creation. This may have been the highlight of our trip to Thailand! The two of us had an incredible time with Pea. 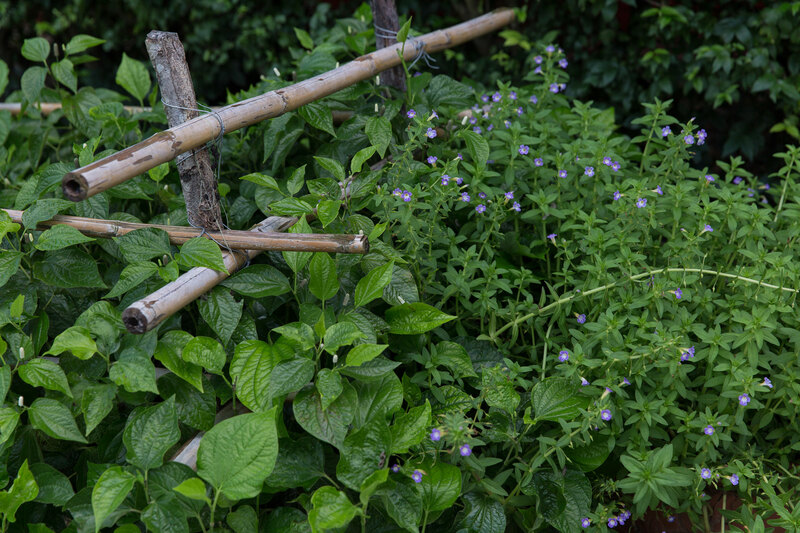 She showed us through her incredible garden but the highlight was working with her in the kitchen. Pea walked us through all of the dishes and we each got to try our hands at cooking the entire time. We had so much fun and can't wait to try these recipes at home. Thank you Pea! This was one of the best food experience of our entire trip to Thailand. 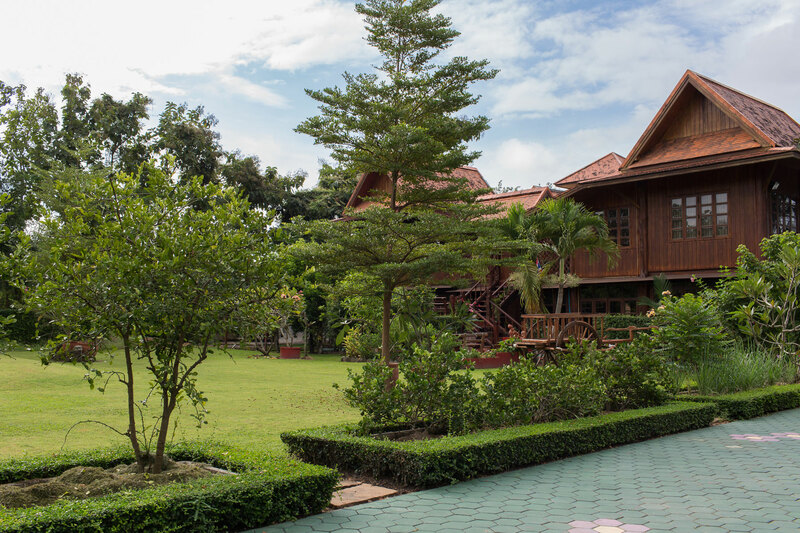 It really made our trip to Chiang Mai special. Pea was so welcoming and open to all of our questions. The food we made was amazing and she took us through it step by step. We had plenty of time and never felt rushed. The one on one attention was really great. I would recommend this experience to everyone. I have been telling all of my friends and family about it. This experience really went above and beyond our expectations.